Lego Harry Potter Collection Coming to Xbox One and Switch | Nerd Much? Previously a PlayStation 4 exclusive, Warner Bros. Interactive and TT Games have announced that they’re bringing the Lego Harry Potter Collection to Xbox One and Nintendo Switch owners. The Lego Harry Potter series consists of a duo of games; Lego Harry Potter: Years 1-4 and Lego Harry Potter: Years 5-7. The adventure titles follow the narrative set by the movies. Years 1-4 encapsulates Harry Potter and the Sorcerer’s Stone, Harry Potter and the Chamber of Secrets, Harry Potter and the Prisoner of Azkaban and Harry Potter and the Goblet of Fire. Years 5-7 covers Harry Potter and the Order of the Phoenix, Harry Potter and the Half-Blood Prince and Harry Potter and the Deathly Hallows Part 1 & 2. The Lego Harry Potter series first hit the scene in June 2010, so the original games would be a bit dated by today’s standard. When TT Games and Warner Bros. Interactive released the Lego Harry Potter Collection for PlayStation 4 in October 2016, the package sported enhanced graphics and lighting as well as improved environments and visual effects. Those same changes are coming to the Xbox One and Nintendo Switch versions of the Lego Harry Potter Collection too. But in addition, the Xbox One and Switch will be getting 2 never before released DLC packs. The first is a character pack featuring Godric Gryffindor, Harry (Yule Ball), Helga Hufflepuff, Lockhart (Straightjacket), Luna (Lion Head), Peeves, Hermione (Pink Dress), Ron Weasley (Ghoul), Rowena Ravenclaw and Salazar Slytherin. And the second is a spell pack that adds Cantis, Densaugeo, Ducklifors, Melofors and Tentaclifors. 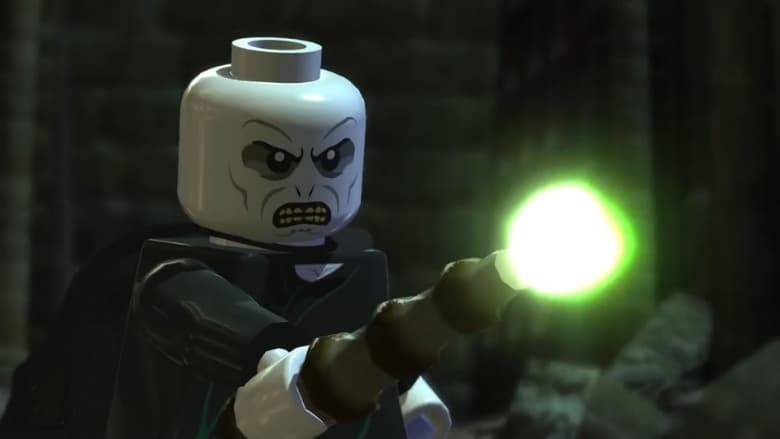 You can checkout the trailer above if you’re unfamiliar with the Lego Harry Potter series. But really, how could you be? The enhanced Collection will release for Xbox One and Nintendo Switch on November 2nd both digitally and physically.